In this volume, Yukine’s naughty behavior shows it’s deadly consequences. Each bad deed physically infects Yato with the blight and in turn, infects Yukine with the same sort of negative energy in the spirits the pair has been fighting so far. But Yato is short on allies and Yukine is bitter about dying so young. Will they be saved or will Yukine’s bitterness kill them both? After all the buildup, I was glad to see Yukine be held accountable. If you’ve made it this far into the series, you should know Yukine was stealing; even from Hiyori who was kind enough to allow Yukine to live with her. Watching Yukine act like an ungrateful brat with nobody doing anything about it was getting frustrating and I’m glad that story like is resolved. 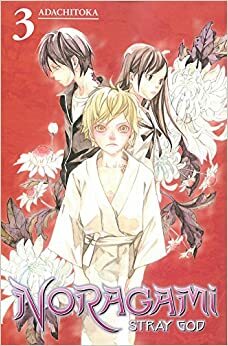 I left this volume looking forward to seeing Yato and Yukine develop together as a team.